Highly Compressed To 3.45 GB. Single Player & Multiplayer Player Working. Special Thanks To The Mehraj & Mr DJ for This Game. 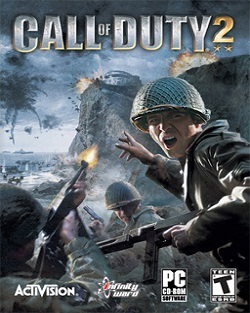 COD 3 not a pc game. Although we will upload some new games for you. It's not working a error is coming..
Directx(R) encountered an unrecoverable error. Install direct X first. We have fix our server. If your archive is corrupted then download the game again. Did you extract the full game? Please check or extract it again. Which error message you got? I extract it but always says setup-1.bin the file is corrupt..how can i fix this? I think download file was corrupt. You have to download it again. The program cant start because D3DX9_37 is missing from your computer... plz guide me how to resolve this? Impure Client Detected . Invalid. IWD files Referenced. You can found a solution on COD forum or try to search on youtube. Please message us with screenshot of that error on our FB page.